Hayden is the youngest member of the livestock team and definitely boasts the best crop of hair. Whilst at Penola High School, Hayden did work experience for TDC. This then lead to a TDC traineeship throughout year 12. After year 12 Hayden travelled to the NT for a dry season where he worked through the Barkly tablelands, then moved south to Alice Springs contract mustering. In October 2015 he started full time with TDC. 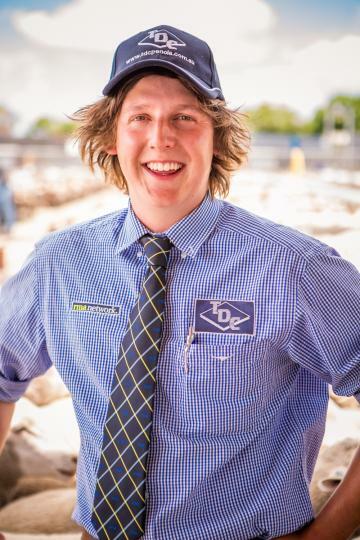 Hayden has undertaken a RMA cadetship whereby he has spent three months in Wagga Wagga at Riverina Livestock Agents. In 2018 he also spent six weeks with Frame Rural Agency based at Inverall working across Northern NSW and into Queensland. Outside of work Hayden loves his footy and fishing and is also a member of the Penola Rodeo Committee which raises vital funds for the Penola Hospital.